Colour Concert 15th July – Tickets Now Available! On Wednesday 15th July we will performing alongside our friends Marylebone Community Choir in a fundraising concert for the brilliant youth charity XLP. An evening of colour-themed entertainment from two choirs, plus some special guests from XLP’s Arts Showcase project – what’s not to like?! 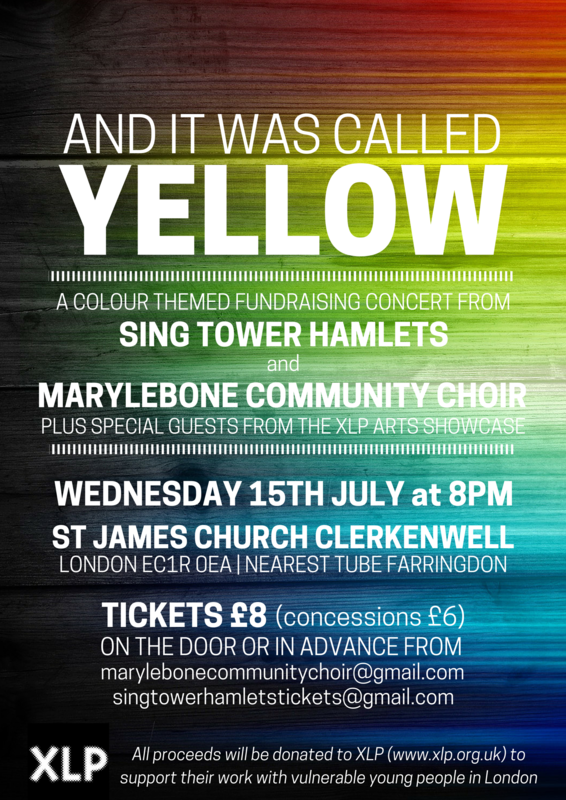 Tickets available now – email singtowerhamletstickets@gmail.com or marylebonecommunitychoir@gmail.com to book yours!